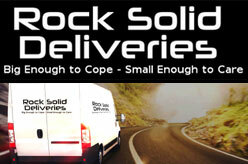 Rock Solid Deliveries is a courier service in Quinton, England. 24/7 same day courier services across the UK & Europe. 47 Overdale Rd, Quinton, Birmingham B32 2QP, UK.